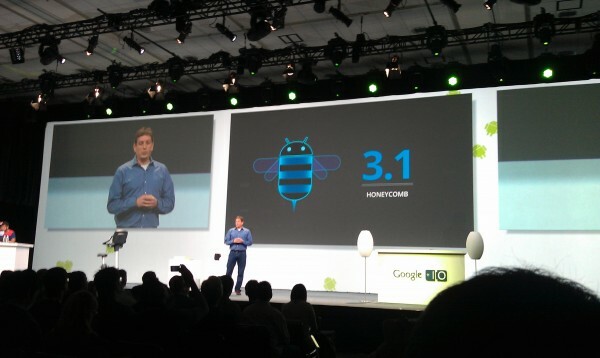 Google announced during the day 1 keynote at I/O that Honeycomb (Android 3.1) is ready and should start rolling out to the Verizon Motorola XOOM some time today or at least in the next couple of days. This is clearly the update that was pulled back at the end of April and also the same one we caught Adobe referencing in the latest Flash update. The odd thing is that Verizon hasn’t updated their support page to show that the XOOM update is coming. And as far as I know, we don’t have any reports of anyone receiving the update. We should know more very soon. So what should we expect in this new version? We’ll see resizable widgets and probably some other bug fixes, but the big news is that your tablet will have the ability to act as a USB host which means you can pair gaming controllers, mice, keyboards, etc. with it. And we also can’t forget that you’ll be able to take advantage of the new Movie section in the market. For more on the day 1 keynote, check out our live blog.